Here’s the truth—individualized educational plans (otherwise known as IEPs) for kids with special needs are written by teachers and specialists, not by parents. Sure, parents have input at the IEP meetings, but we are not trained in how to write them correctly or appropriately. Many Solo Moms groan at the sight of a letter for another IEP meeting in the middle of the workday. It doesn’t seem to matter much if we’re available or not, and we often feel that no matter what we say in the meeting, our input is never taken into consideration anyway. While the reality is that the IEP team members do not have equal voice and power, there are some things that Solo Moms can do to get our voices and our children’s voices heard and included. Write your own parent concerns. One of the first sections in the IEP is the “parent concerns.” It is part of the “present levels of performance” section (different states name this section differently), and it usually has a couple of sentences summarizing whatever the teachers think you are concerned about. We usually ignore it because it can seem like fluff, but this section belongs to you and your child. I recommend writing up your concerns as concisely as possible and e-mailing them to the case manager. Tell the case manager to cut and paste your text directly into the parent section without changing a word. Don’t let this person tell you that he or she can’t do that or that there’s no room to do so. It is part of your rights under the Individuals with Disabilities Act. Miranda is a caring, involved, and engaged teenager who is finishing her first year of high school. Though the large student body means she is often overlooked, she has worked hard to connect to teachers and classmates. She enjoys all her classes and can share what she has learned with others. She sees herself as a regular teen that needs work “at her level.” Her favorite classes are Language Arts, which, she says, “challenges her to work harder and to read more difficult books,” and choir, where she can continue pursuing her passion of singing and performing along with working on articulation, modulation, and projection in her speech, which, at times, is difficult to understand. Miranda is in the process of exploring possible career areas including child care, pet care, and conservation issues. She has her Red Cross babysitting certificate and does some babysitting (with an adult present). She pet-sits regularly and volunteers with Eco-Cycle. All of these career-development areas require her to continue her progress in reading, writing, applied math, problem-solving, communicating, and flexibility, which should all be part of her IEP goals. Miranda has many strengths (she has perseverance; she is friendly, organized, responsible, and social; and she is good at reading and self-care, to name a few), and in order to have a mostly independent adult life, she needs to continue developing her academic, social, mental, and independent skills. Offer agenda items. At least a week before the meeting, send the case manager any items you want to be in the agenda. Providing an agenda means the topics you want to cover will be heard. Most teams don’t write agendas, so it’s a proactive way to assert your voice. If there are items that can be addressed before the IEP meeting, ask that those be handled ahead of time. They might include things such as getting a copy of your child’s daily schedule or dealing with something such as bullying, which is not generally a special-education issue. Record the meeting. A special-needs lawyer once told me she always recommends that parents record every IEP meeting. She suggests keeping it casual by saying something such as, “I can never remember everything, so I am just going to record the meeting. Do you want me to send you the recording?” The other parties present may choose to record on their own smartphones, which is fine. By keeping it light and not recording in secret, you have the best note-taker around! Bring someone with you. Any Solo Mom who has been to an IEP meeting knows that there are always significantly more school staff members than parents present. But did you know that you have the right to bring anyone you want to your child’s IEP meeting? So bring your sister or mom or friend or all three! They do not have to be experts in anything. They can be there to take notes, remind you of your agenda items, or just sit beside you. It’s also helpful to debrief after the meeting with someone you trust. I always find that the team members are on their best behavior when someone they don’t know is present at the meeting. Some moms bring private therapists, which can be helpful—just keep in mind you usually have to pay them for their time. You can also ask them to provide a written report. If you decide to bring a lawyer to act on your behalf, you must notify the school team before the meeting. Do not surprise them. If you do, they will likely cancel the meeting until they can have the district lawyer attend as well. The presence of a lawyer deepens the feeling of “us and them,” so bring one only when you have exhausted all other approaches to resolving the conflict. 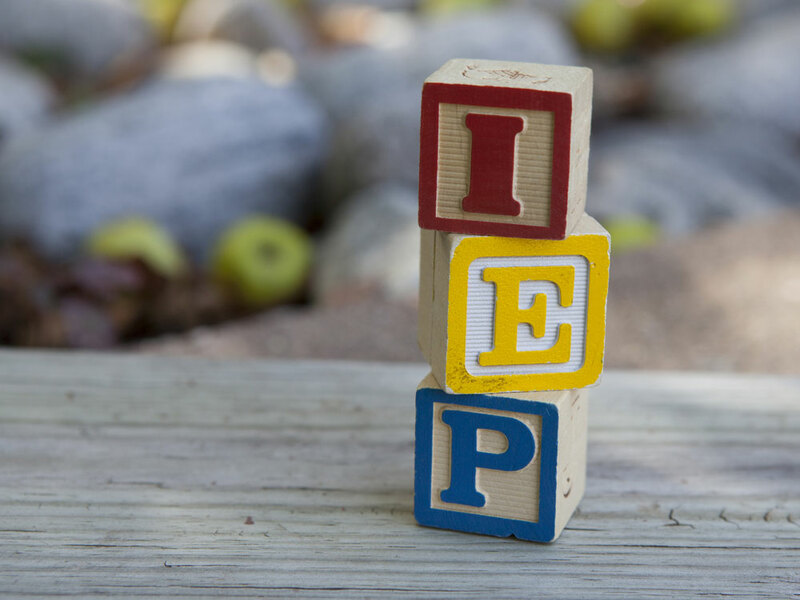 All these options will strengthen your child’s IEP and also help you feel more confident and capable of advocating for your child’s needs. Check out my piece “Respectfully Disagreeing with Your Child’s IEP?” if you hit some snags.